Save Login State To A Cookie? Now available as an online flipbook as well as a PDF! 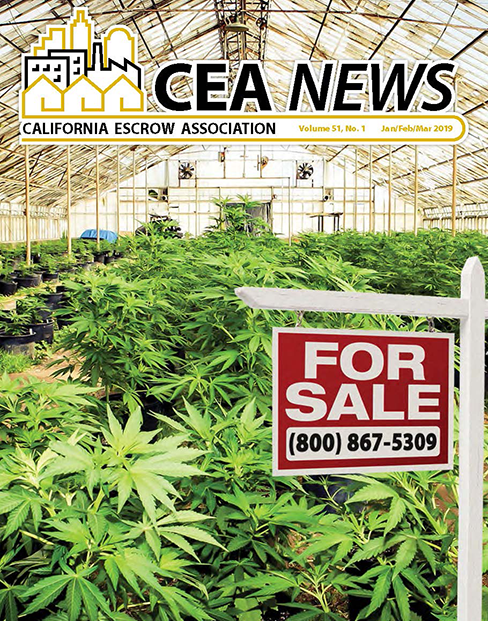 The vision of the California Escrow Association (CEA) is to empower and support escrow settlement agents through our commitment to the professional and personal growth of the escrow practitioner. For their pursuit of continuing education, every member of CEA shall have the opportunity to participate in and receive timely and relevant information through modern technology and traditional methods. For the needs of our diverse membership, CEA shall identify and address both state and national challenges that affect the escrow practitioner. CEA shall provide a forum for problem solving and strategic advocacy to seek resolution to these issues. CEA will cultivate mutually beneficial policies and procedures for the protection of its members, consumers, and related real estate industries. All Contents of this web site TM/© 2001 , California Escrow Association.